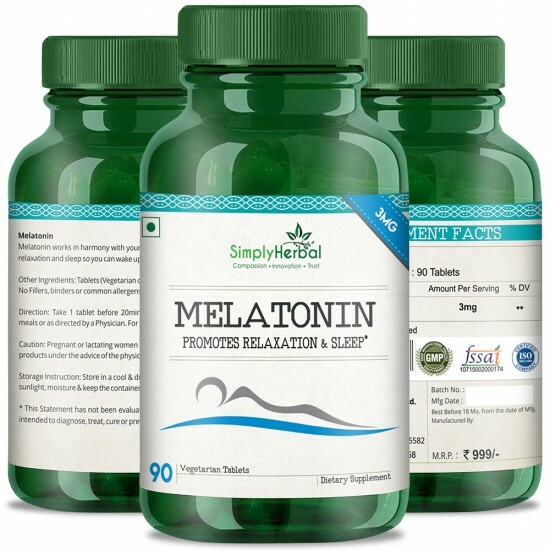 Helps in normal sleep patterns to promote a more restful, relaxing sleep and better overall health. 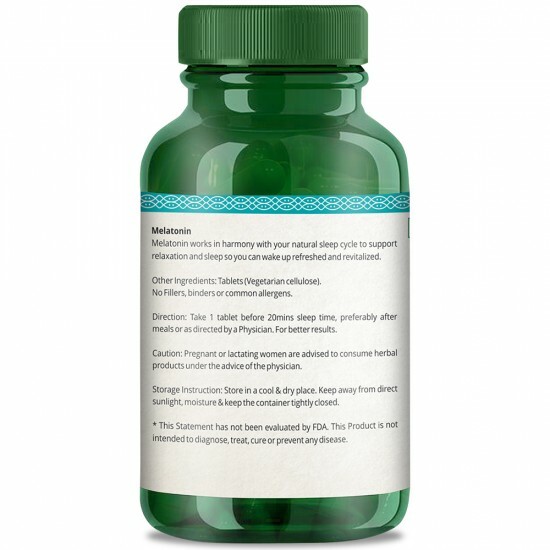 Benefits: useful in the regulation of the immune system and maintenance of a healthy gastrointestinal lining. Suggested Use: Take one tablet one hour before bedtime. 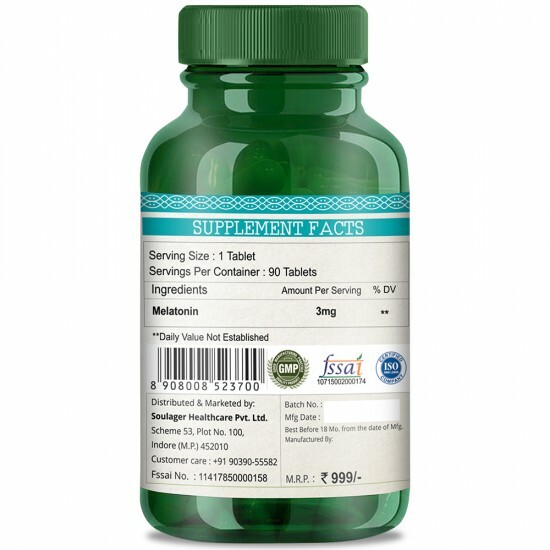 Do not exceed one tablet daily unless recommended by a health care professional. For easier swallowing, take with water before and during ingestion. Warning: Do not use this product unless advised by a physician if you are pregnant, attempting to become pregnant, or nursing; or if you are taking any medications or have any chronic disease, including hypertension (high blood pressure), diabetes, or an endocrine, auto-immune, depressive, bleeding or seizure disorder. 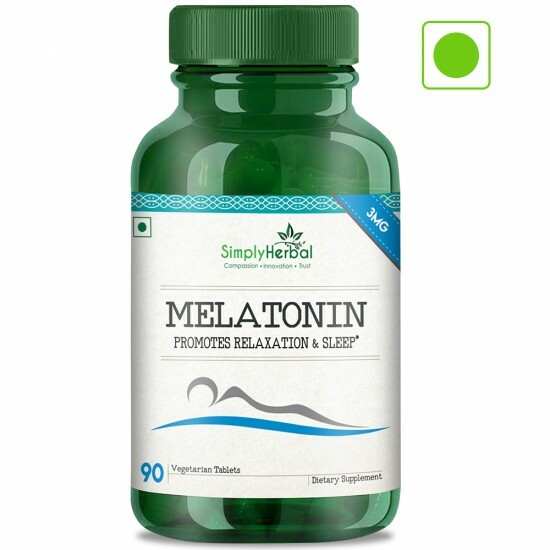 Do not drive a motor vehicle or operate machinery when taking melatonin. Not intended for individuals under the age of 18. Consult a health care professional if you are experiencing persistent sleep difficulties.